... if you would indulge me please, i would really like to reminisce a little here. 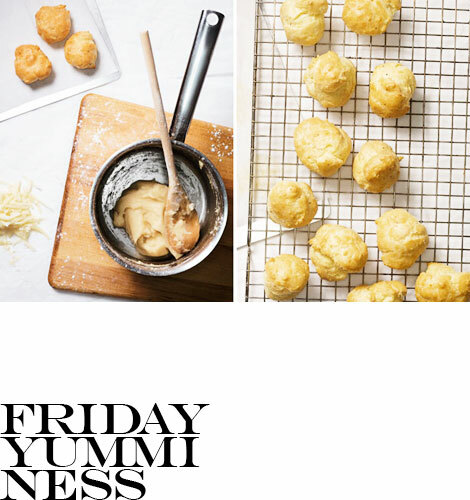 the first time i had fresh gougères – made from scratch, right in front of me – was during a shoot in napa for williams-sonoma. the food stylist "whipped up" a batch in the kitchen while i art directed and approved polaroids. wonder if i could recreate that same wonderful airy bites in my own kitchen... anyway! have a great weekend and see you back here on monday.